We have a very quick task for you today, so you can go enjoy your Sunday. 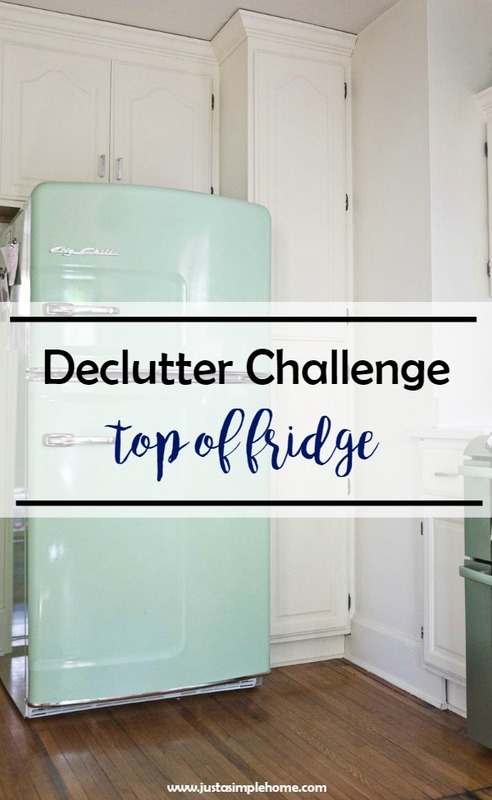 We are decluttering that lovely area on the top of our refrigerator…you know the one that holds things we think we may need sometime, but forget about it once it goes up there? Or the place that collects boxes of opened cereal that spill to the ground when you open the fridge door? Is that just my family? I wish I could say this beautiful fridge was mine, but it’s from the talented Elsie Larson at A Beautiful Mess. 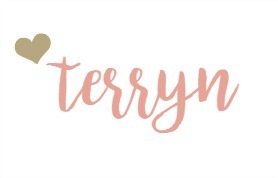 Check out her home tour if you get a chance. Clear off everything from the top of your fridge. Wipe down the area and be prepared for dust. Discard anything you may have had up there that you didn’t even know of. If you haven’t seen it in months, you don’t need it. If you have had opened boxes of food, make sure to look and see if they are still free of visitors and fresh. Find another home for them. Perhaps your pantry that is all nice and decluttered? If there is anything that you found up there that you truly need to keep, find a proper home for it. Find a beautiful, loved piece of decor you can put on top of your fridge. Don’t go out and buy anything, but look around your home. A flower vase works well or some beautiful jars. Try your best to keep the top of your fridge empty from now on. This is a total hot spot for us…especially because it’s one of the only places where we can put things the kids can’t reach! I don’t want to tackle it! lol But I probably should! Love your style. Going to clean off top today and I promise not to buy anything. YES! I have to admit that I have this major pet peeve of things on the fridge. I do have a bowl that houses sweet potatoes but the bowl is decorative so it looks more like a decoration and less like clutter. We have always kept two big baskets on top of our fridge — one for chips/pretzels and the other for bread/buns. It’s not the prettiest, but it’s also not unattractive (due to the baskets) and it keeps us from sticking other random items up there.